It is the "blueberry", sweet, tasty and delicious! Moreover Quebec is the first worldwide producer of the " wild blueberry ". Do not confuse the Early lowbush blueberry with the Highbush blueberry sold low-season in our groceries and coming from the United States, this one is bigger certainly, but less sweet, mushy and flat due to the shipping of unripened fruits. The blueberry is called "airelle" in France but still you should not confuse it with the "myrtille" (Vaccinium myrtilloide) which does not grow in Quebec. The blueberry, is the symbol of the city of Dolbeau-Mistassini. 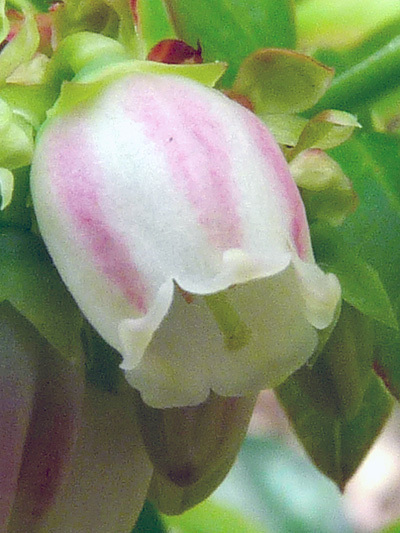 The Early lowbush blueberry has numerous health benefits.